African countries are seeing windows of opportunities as women plow forward in urging the need and opportunity to create ways for women to contribute their skills and talents toward problem solving and Africa’s development. 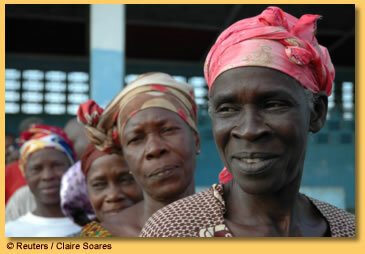 African women are driving this change which was evident and visible at the United Nations during the 54th Conference on the Status of Women, held in New York from March 1 to March 12, 2010. African women are organized, active and ongoing in their organizing efforts at pushing and pressing their governments to be responsible. They came to the United Nations in New York City with well defined issues and concerns such as; land rights, violence against women and girls, poor governance, infant mortality, sustainable development, war and conflict, expanding women’s economic opportunities, human trafficking, micro-financing, poverty, climate change, Millennium Development Goals, Beijing +15 (Call to Action), forced child marriages, education, etc. The soul of Africa was everywhere as Africa’s women could be heard like a determined force thru the halls and throughout the different forums, working groups, side events, and gatherings at the CSW. They were involved forcefully and attentively in all topics and issues that are affecting Africa, and aware of how the various issues impact on the lives of women and girls. They are a determined force with no hesitation that Africa will succeed and prosper. They know their issues, their priories and their urgencies. African women organizations in Africa are on the move for answers, accountability and solutions, as African women groups across the continent band together teaching us all that gender issues are at the core, as they bring women issues into policies that uplift and aid in Africa’s development. Their voices resonated with facts, experience and agendas - putting a face and voice to Africa’s problems. They discussed the impact of structural adjustment programs that were forced on their governments through the IMF and the World Bank which denied basic social services to African people. Programs that impacted immensely on medical care for women and children, whereas a large proportion of the populace could not pay for privatized medical services after state services were withdrawn. 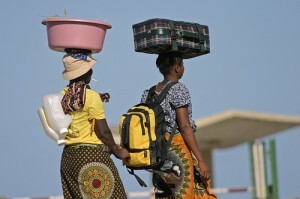 African countries are still suffering from structural adjustment programs. The women made it clear that their own governments are also responsible for the structural adjustment programs that did not help the people, but created more suffering and hunger under the guise of development and good governance. They also discussed the negative effects of a market driven economy adopted by governments which has resulted in large scale economic displacements of women subsistence farmers, disruption of the social fabric, migration, and increased burden of work and responsibly of women as family sustainers.